The pitch from Southern Oregon's Jeff Clifford in this August 1990 game seemingly got away from him. It also helped touch off a brawl. The pitch knocked down rival Eugene catcher David Rolls. After taking his base, the brawl began as Rolls collided with the second baseman, according to The Eugene Register-Guard. "I don't blame them for hitting me," Rolls told The Register-Guard of Clifford's pitch. "We've hit quite a few batters." Clifford stayed in the game, finishing it out with two hitless innings. He didn't play much more, though. He got just 20 outings on the year, his only year as a pro. Clifford's career began that year, taken by the Athletics in the 33rd round of the draft, out of Assumption College in Massachusetts. At Assumption, Clifford played all four years. He went 16-13 overall and earned a degree in accounting, according to his ProCards card. 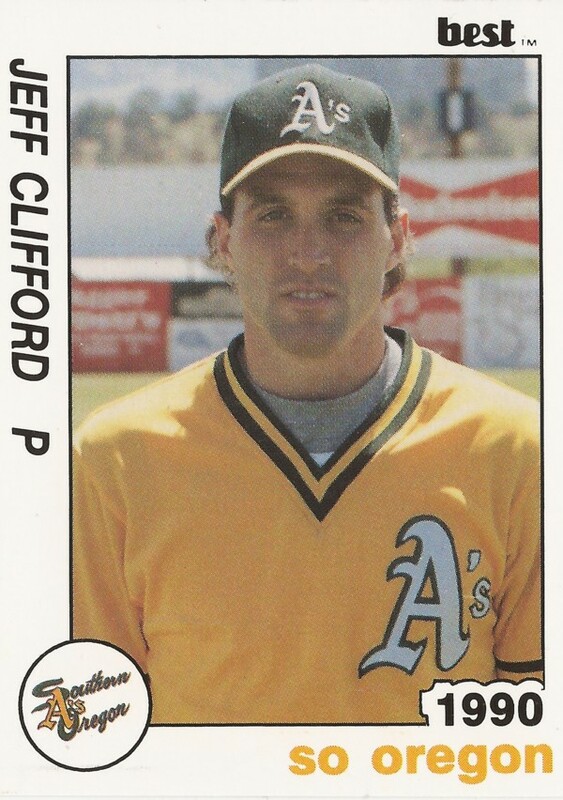 With the Athletics, Clifford was assigned to short-season Southern Oregon. In those 20 outings, he went 2-1, with a 3.93 ERA. He gave up a home run in a June game. It was his only season as a pro.